ABOT - ABT Mining Co. Inc. The Uber of Courier? Ever since Late July, ABOT has seen a Trading Frenzy in the $.40-$.80 Range with tens of thousands of dollars trading hands on a daily basis now. At $.46 this play sits near its Basement Support Levels, and we may see a +MACD Cross as early as Monday - a typical run catalyst. Picking up plays at their cheapest point is great, but it gets incredibly exciting when you see what ABOT has done with their pending Acquisition of Scoobeez - (www.scoobeez.com) - an on Demand Courier and Delivery Service utilizing motorbikes in large metropolitan areas. They are Expanding and Hiring. Companies like Uber are trying to parlay their service by dropping off groceries, but Scoobeez has taken the idea to a whole new level. This company has been moving quick to take over the fractured all-encompassing courier market, and they are doing it .....on 2 wheels. This market has no dominant player and is fractured, but Scoobeez looks to be taking the lead. They are concentrating on Metropolitan Markets just as social taxi companies did, but they are utilizing Scooters, Motorbikes, and the like to significantly cut down on Traffic Time and Expenses while building that unique brand recognition at the same time. They are rapidly expanding their services to Vancouver, San Francisco, Seattle, New Orleans, Chicago, Toronto, Montreal, New York, Toronto, Washington and beyond under the umbrella of mobile app technology. ABOT Retired ~$320K in Debt. Scoobeez LOI for Acquisition initiated it being a major focal point of the company's new business transition. They Acquired www.autoclaim.com and its mobile technology to enter the Insurance and Accident Documentation markets. A New CEO and President were named to amp up business growth and shareholder value. What caused the biggest commotion? On 7/30 ABOT Signed a LOI to Acquire Scoobeez, a Rapidly Growing on Demand Courier and Delivery Service Company. This market has seen explosive growth with companies like Uber now making a splash into the door delivery niche. While ABOT has recently added AutoClaim to its existing portfolio, it is the Scoobeez deal that has traders excited. along with cars to facilitate same day deliveries. Just about everything! Scoobeez’s technology, exceptional customer experience, and logistic creativity allow it to efficiently deliver food, online orders, medicine, packages and other items within the shortest possible time-frame averaging less than an hour per delivery. As a result, Scoobeez is enabling and empowering local businesses by connecting them with their customers through its cost effective and highly customer oriented “On Demand” services. Scoobeez has the capability of providing deliveries around the clock through its flagship Glendale operation covering Los Angeles and Orange Counties. Scoobeez has three main pricing structures; fixed base fare, standard fees which include per mile charge, and dynamic pricing for additional stops. 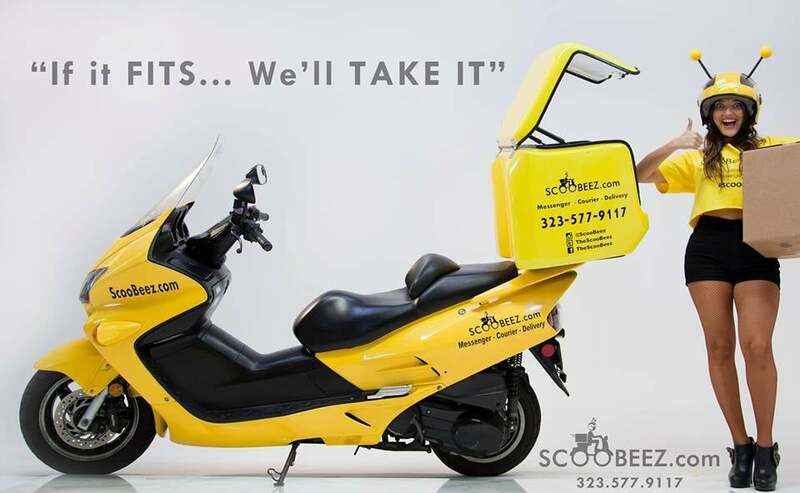 Scoobeez’ pricing structure is extremely competitive with other similar courier services but the mobility and convenience of scooters and motorcycles, and no fuel surcharge combined with exceptional customer service and unique branding provide Scoobeez with a sustainable competitive advantage. What is the Scoobeez growth formula? Job seekers are interested as is evident in the Social Taxi Boom. On 8/6 ABOT held a Recruiting Fair to fulfill a Scoobeez Driver Demand for the LA area. 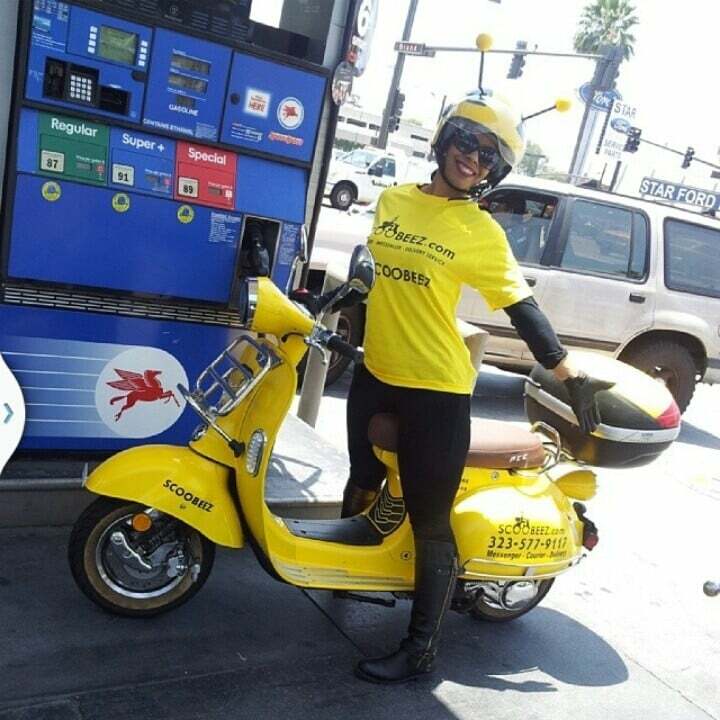 Scoobeez intends to recruit well over 100 riders and drivers to expand its Glendale, Los Angeles and Southern California operations to meet and exceed its growth plan for “On Demand” door to door messenger, courier and delivery services that primarily utilizes scooters and motorcycles along with cars to facilitate same day deliveries. The event was highlighted by the keynote presentation by Benjamin Art, CEO of Scoobeez with an interactive discussion that addressed information about the company’s hiring processes, delivery guidelines, employment requirements, standard operating procedures, dress code and benefits. ABOT management knew shareholders needed to see they were serious about fiscal responsibility, and they delivered. On 8/11, ABOT Announced the Retiring of $320K of Debt as of 8/10 2015. This debt was in the form of multiple notes (“Notes”), which were due in the 4Q15. The Company's total debt balance, after this settlement has been reduced by 24.87% from the total outstanding note reported in the recent quarter ended on June 30, 2015. ABOT has more than just Scoobeez in the works. Given the CEO's prowess in the Insurance and Technology Industry, the AutoClaim deal made perfect sense. Don't you wish you had your app ready after an accident or traffic stop? On 6/22 ABOT Acquired the Revolutionary AutoClaim Mobile Technology Application. The “AutoClaim” Mobile App is an advanced “Proprietary” real time Mobile Claims Documentation and Management System. The App is indented to revolutionize the multi-billion dollar auto insurance claim industry at an operational and strategic level that will enhance customer service, streamline data management for effective decision making on claims, improve capital efficiency by correctly managing claims portfolios and provide many other benefits to insurance companies and its policyholders. MACD is nearing a + Cross any day now. It looks like Monday or Tuesday could be it, and it usually counts to be in beforehand. Liquidity has grown immensely compared to early 2015 as traders realize the significance of these deals. Targets are $.53 - $.55 - $.91 which are the resistance levels at the 20 - 50 - 200 SMA's. A move there from current prices could net traders Gains of 15% - 19% - 97%. How high can this really go with near-term expansions into a plethora of other major cities readying? You know what can happen if the Scoobeez Names Takes Off.....we've seen it before....and the sky is the limit. Time will tell just How Big this company can become over the next few months and beyond. Look closer at ABOT and the Scoobeez deal. This is not your ordinary trade. Every major company has a beginning, and we think something special is rising to the surface here. They have the right target niche and game plan to capitalize on a fractured yet huge and untapped service with the right style. Start your research on ABOT right away, trade smart and enjoy. 007stockchat LLC has not been c.ompensated for the creation and disbursement of this report. 007stockchaat LLC owners hold 300K shares of ABOT. We reserve the right to liquidate and or add to our position before, during or after the release of this report. Liquidation and or adding to our position will be done without notice to any individual, party or reader. BWVI - Blue Water Ventures International, Inc.